Conductor Karen Grylls explains the disc’s title, Voice of the Soul, as “a metaphor for a journey of traditions, story telling and passionate music of the senses”. Verdict: The country’s premier chamber choir maps out an unforgettable journey. 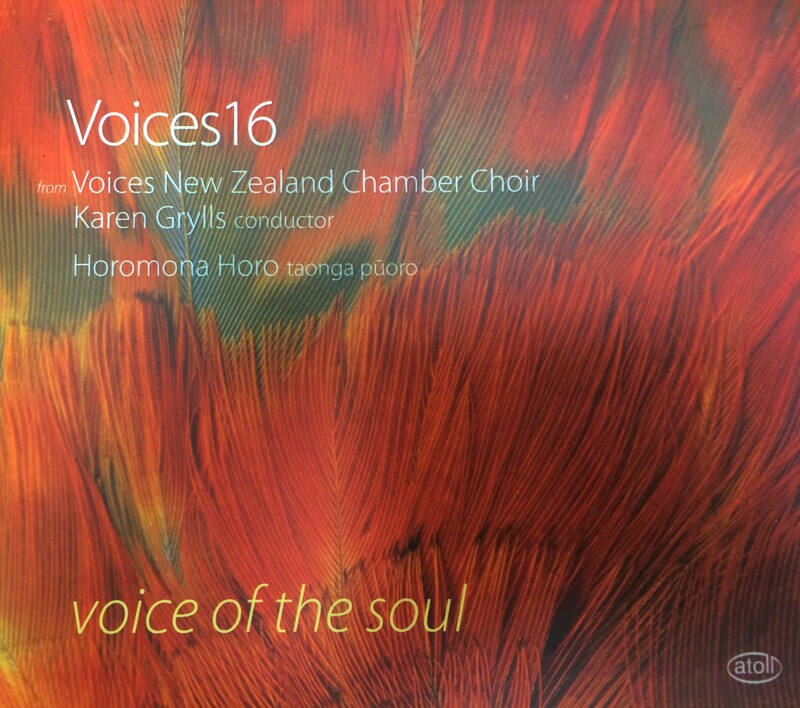 When Voices New Zealand Chamber Choir toured the country in 2011, it was an appreciated opportunity to hear the music these top-class choristers had just taken to the World Choral Symposium in Patagonia. Three years on, most of that programme has been recorded again by Atoll, with producer Wayne Laird making the most of the compact acoustics of Auckland’s Kenneth Myers Centre. The packaging is luxuriant — a sturdy, book-like cover, with 20 pages of useful text, all adorned with the ethereal feather images of Maureen Lander. We are reminded, in this age of the charmless download, that CDs can indeed be objects of beauty. It is, as she suggests, the equivalent of spending time in a gallery that offers musical rather than visual nourishment. The theatrical experience of Horomona Horo in 2011 making a dramatic entrance with his taonga puoro for Hildegard of Bingen’s Viridissima Virga is not possible in a studio recording. Yet, ironically, the nurtured blend of plainsong and Maori instruments in this 12th century salute to nature is clusteringly effective. Traditional repertoire like Morten Lauridsen’s Six Fire Madrigals and Britten’s Five Flower Songs reveals the unimpeachable technique and musicianship that Grylls demands and gets. Two local works are similarly mainstream in style, yet David Childs’ Salve Regina draws extraordinary passion from the singers and Christopher Marshall’s Horizon I sets Ian Wedde’s poetry with strands of melody suspended against shimmering chordscapes. Helen Fisher’s Pounamu is a 1989 classic, especially potent with Horo’s koauau instead of European flute; another bonus is the pair of evocative taonga puoro solos that surround Fisher’s waiata and punctuate the whole album. Finally, David Hamilton’s Karakia of the Stars offers the ultimate voyage, with flecks of percussive colour crossed with Ligeti-like vocal textures and flamboyant flourishes from two soloists. Who knows, spurred on by Horo’s final mysterious purerehua call, you may find yourself returning to the good Hildegard and starting the journey again.